My author files in the Ls go as follows Lau ( Evelyn), Lekich (John), Leonard,(Elmore). I will concentrate on the two men. Both are gentle and have a way with words. 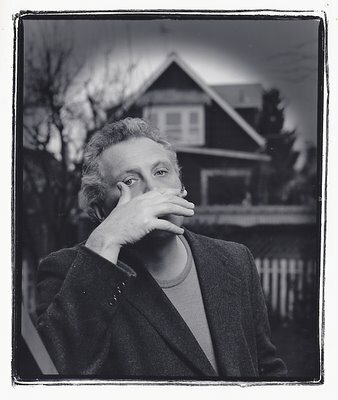 Fueled by a Lazy Gourmet hamburger Leonard, in Vancouver in 1993, explained about his books to Globe & Mail writer Christopher Dafoe. I realized that I could not take a decent photo of the writer in the restaurant so I sped to the nearby Diane Farris Gallery and asked Diane if she would allow me to photograph the writer. She did not know who the author of one of my favourite crime novels (City Primeval - High Noon in Detroit) was but she cheerfully gave me the nod. Lekich is equally fueled by hamburgers, of the Red Onion kind. 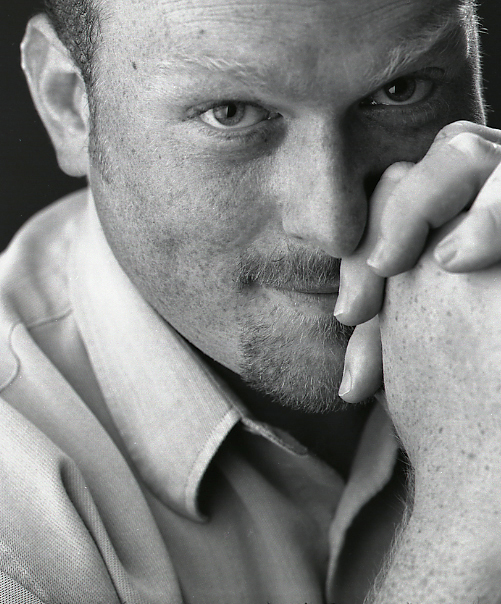 He is known as the gentleman's getleman and a gentle juvenile novel author (Governor General nomination, too! ), which is a pity. In an excercise in Rick Staehling cross casting, If I were an editor, I would unleash Lekich who would rapidly become the attack dog of satire and criticism, something this city sorely needs. Luckily I can enjoy it all in our private telephone conversations or in our occasional visits to jazz lounges. Here he is in his Emiliano Zapata period (1987) with Mary Hart. 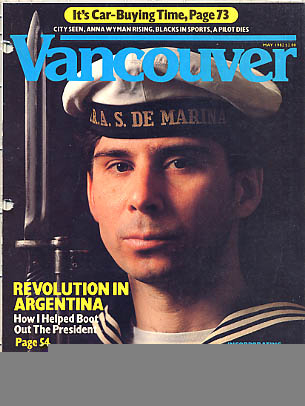 In 1982, during the war over the Malvinas (Falklands) Vancouver Magazine editor, Malcolm Parry suggested I write my story of having been in the Argentine Navy and my participation in a coup to oust gentle and honest president Arturo Illía. 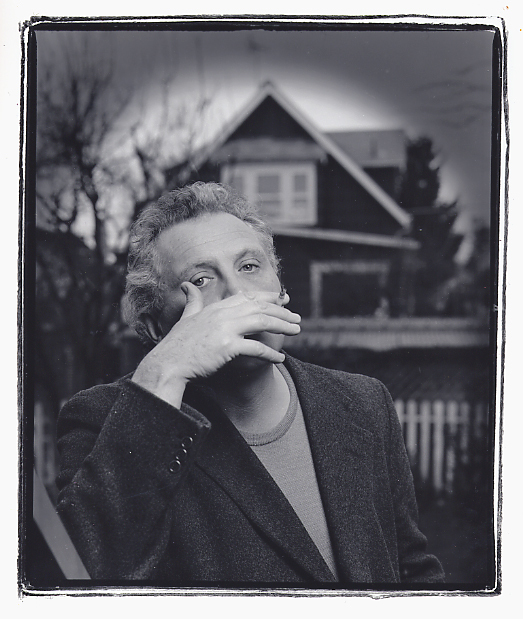 It made the cover and Mac himself took the cover photo (below). I agreed with Jorge Luis Borges that the war was really a war between two bald men fighting over a comb. It still left me with a bit of animosity towards the Brits even though my father had been born in Manchester. 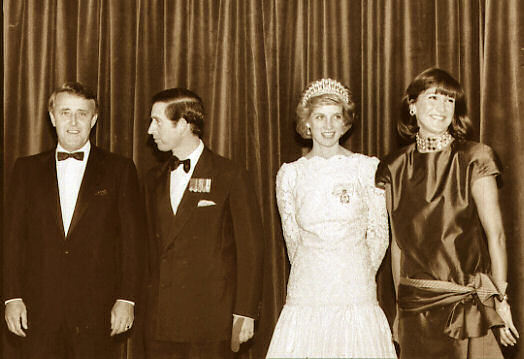 In 1983 Prince Charles brought his new bride to Vancouver on an unoficial visit. Two days before they arrived, Mac said to me, "Go and photograph the pair for us when they arrive here." I objected saying that I didn't particulaly care in taking pictures of British royalty so soon after the Malvinas war. Mac looked at me and said, "Do it." I tried again to object using the tack that as an Argentine (I was not yet a Canadian citizen) it was doubtful I was going to get accreditation. I went for the accredtiation and told the people there, "I am an Argentine and I want accreditation for the day after tomorrow. I am here from Vancouver Magazine. If you will not give it to me I won't particularly mind." They told me to stand by a wall and they took my picture. Without asking for identification I was given my pass. I was told to meet with the photographer's pool at the Panpacific Hotel where a bus would take us to the reception at the Hyatt Hotel. The day of the event I decided to diminish my chances of getting the shot by going directly to the Hyatt. Nobody checked my photo bag. I sat down in the lobby and when the photographers arrived (including the Brit photographers in their tuxedos and carrying little stepladders) I joined the crowd. When I took this photograph I was so close (perhaps 10 feet that I had to use my 35mm wide angle to get this shot of them with the Mulroneys. 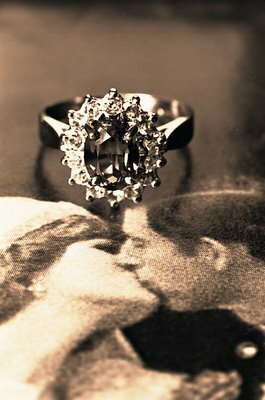 In early 1981 before Prince Charles married Lady Diana a Robson Street jewelry store was selling a replica engagement ring. Here it is. That Brit, Mac, had decided it was worth a story and had dispatched me to photograph it. A week ago I went to see The Queen with Rosemary. I so loved the movie (in spite of having been an Argentine, I am now a Canadian, I have a deep admiration for the queen) that I decided to blog here with my picture. But, alas I could not find the negatives in whatever combination of names I could think of. While re-filing, between my friends Gavin Walker (the jazz saxophonist) and Graham Walker (the typographer with a shoe fetish), I found a folder labeled Wales, Prince of & Lady Di. out. The venue was a tobacconist's shop in my British home town, Walsall. The Falklands scrap was going on at the time. The pipe was on sale, at 30 or 40 per-cent off. I told the woman in the store it was a good deal, as I intended to charge my friend in Canada full price. "That's not very sporting," she expostulated in the British manner. "He's from Argentina," I replied. "If you had told me that earlier," the woman said, "I would not have sold you that pipe." "But smoking's going to kill him, " I said, mollifying her not a whit. In fact, you paid the discounted price, which I believe was 17 pounds. Every once in a while I have to re-file all my negs and slides. Originally they were in large metal filing cabinets. They are still there but while in the beginning I might have room for A's to be in an A cabinet now I have two drawers with all the As. I also have to expand my original author drawer. Thanks to all my dance photos, D is full. I love to file. This is how I find missfiles and nuggets that I may have forgotten I have. Sometimes I am startled in how imposing alphabetical order makes for the strangest "file" bedfellows. Here is an example that when I think about it isn't all that strange. 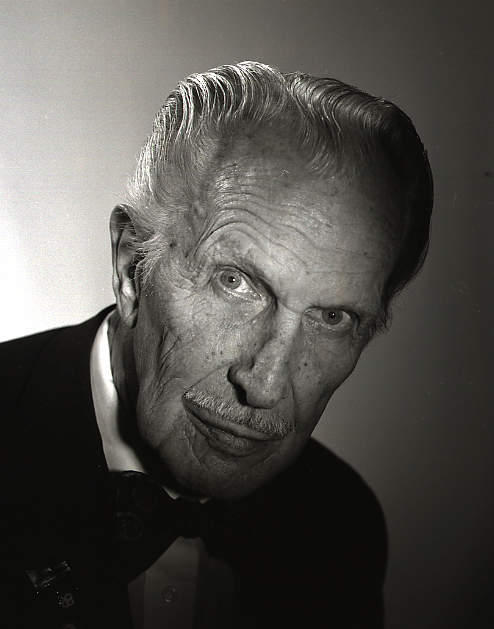 If I had to find a common thread between actor Vincent Price and retired Vancouver Councillor Gordon Price (while considering that one of them is quite dead) I would say that it is culture. 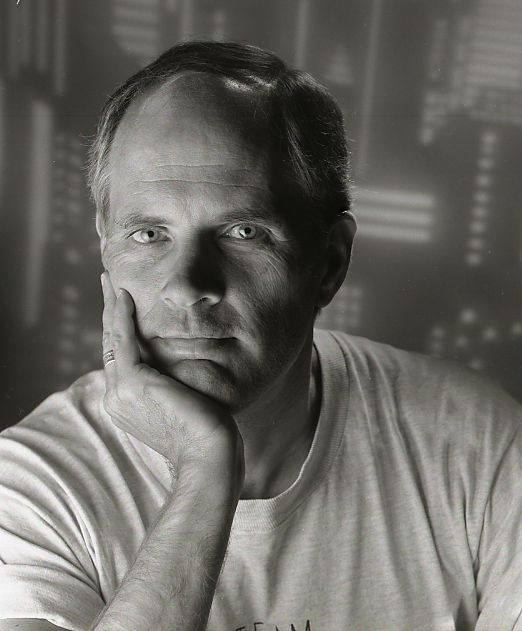 Whenever I went to the opera, ballet, art openings or lectures I would always run into Gordon Price. Few in Vancouver know that all city councillors have free seats at the Orpheum, Queen Elizabeth and the Vancouver Playhouse. Few councillors ever seem to take advantage of this. I recently talked to Gordon Price and he told me, "I really miss those seats, now that I am no longer a councillor." While I didn't always agree with Gordon Price that I should ride a bicycle (instead of driving and polluting) with all my photo gear, tripods and lights in the dead of a rainy winter, I always knew that with him I had intelligence and objectivity in City Hall. 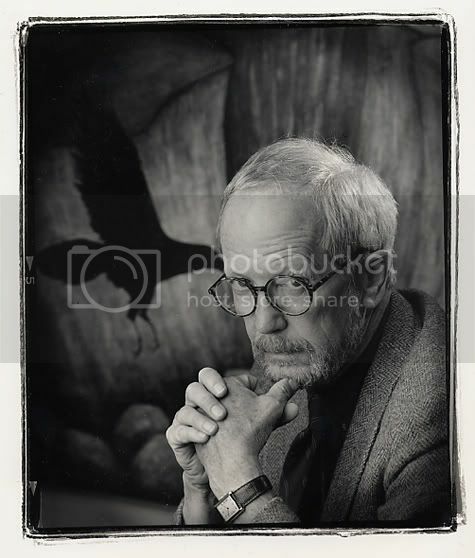 As for Vincent Price, I photographed him in Robson Square in 1986. He was gracious and I would say that if you compare pictures here you might agree with me that here we have some handsome bedfellows (if only in my files). There is a curious smell in all the subways of the world and the Buenos Aires subte is no exception. It may be a combination of the electricity-generated ozone, rusting brake-pad dust and the hint of urine. I love the smell. I also love the noise and the flow of hot, dry air when another subte rushes by in the opposite direction. I thought I would never be able to share this nostalgia for my Buenos Aires youth. For me the shine had come off travel. I was wrong thanks to a little girl. It all began in the summer of 2003 when my wife Rosemary and I went to Washington DC. 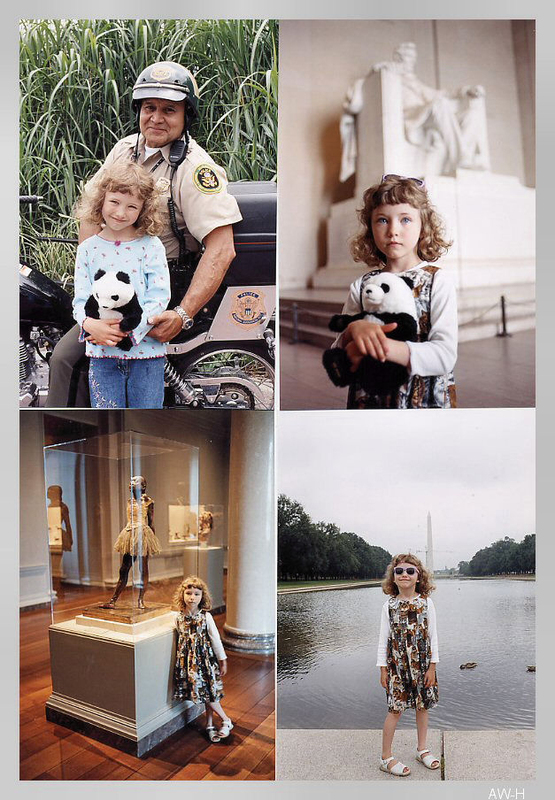 We brought along our granddaughter Rebecca (then 6). At the National Gallery I plunked Rebecca in front of my favourite American painting. 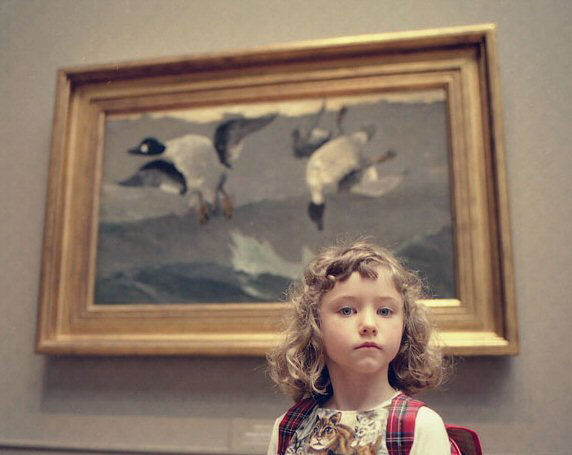 Rebecca looked at the two ducks, flying askew and said, “That’s Winslow Homer’s Right and Left.” Several of the museum goers present were quite startled and I smiled. Before leaving for DC, I had shown Rebecca, in books from my library, three Francisco Goyas (one the portrait of the Duke of Wellington), one Leonardo Da Vinci (portrait of Ginevra de ‘Benci), one Jacques-Louis David ( Napoleon in his Study), Salvador Dali’s Sacrament of the Last Supper and my favourite Winslow Homer. These were the only paintings we saw at the National Gallery although we did take some extra time to stop at Edgar Degas’s sculpture, Little Dancer Aged Fourteen. In the mid 80s 70s Rosemary, and our then teen and pre-teen daughters, Ale and Hilary and I had gone for a month’s trip to Europe. Our girls hated being dragged around the Louvre, the Prado, and the British Museum. They specially objected to the El Greco’s of Toledo. They wanted to shop or flirt with the handsome bell boys back at the hotel. Only in the beaches of Málaga did they finally stop sulking. I did not know then what I know now: When you travel with children you travel for them. Our efficient sweep of the National Gallery in 2003 gave us the time to lunch at the venerable Willard Hotel, Rebecca held 4 inch long live cockroaches at the Museum of Natural History and we enjoyed at leisure an almost full day at the National Zoo. Best of all, Rebecca was not turned off to visiting museums as was the case with her mother Hilary years before. 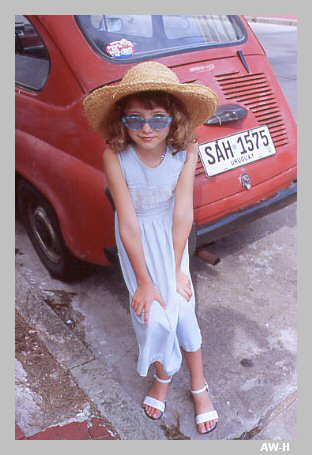 So in December, 2004 we traveled to Buenos Aires and the beach resort of Punta del Este in Uruguay with Rebecca. Our 18 hour flight to Buenos Aires (Vancouver, Toronto, and Santiago) was grueling but Rebecca slept through most of it with the help of the large pillow and blanket we had brought. In her little red carry-on she had her books and her felts for drawing. When we landed on Buenos Aires’s Aeropuerto Ministro Pistarini, Rosemary and I felt like tired rags while Rebecca was fresh and awake in spite of the 38 degree heat. It was like that for the rest of our three-week stay in Buenos Aires and Punta del Este. We always had to play catch up with her. It didn’t take long for Rebecca to adapt to the porteño habit of having dinner at 10 and going to bed past midnight. By morning Rebecca required a schedule. This meant the usual hotel breakfast of café con leche and medias lunas de grasa (astounding croissants made with lard, not butter). I prepared her for the day by giving her quick descriptions of where we were going. During our day we made sure we stopped at cafes for café cortado (espresso with a shot of milk), Rebecca opted for orange Fanta or we had our dulce de leche tentación ice cream cones at the ubiquitous Freddos. At these stops and especially under the shade of the huge gomero (Ficus macrophylla or Moreton Bay fig tree) at La Biela coffee shop, Rebecca liked to open her traveling sketch book to draw or paste subway tickets and low denomination Argentine pesos. Rosemary had not forgotten to pack a glue stick. During the week we knew that the last subte to our hotel, the Park Elegance Kempinski, near the fashionable Recoleta district, was the 10:45. We didn’t worry, Buenos Aires taxis never seemed to exceed the Canadian equivalent of $2.00 on their meters or we walked. We didn’t visit the elegant Teatro Colón opera house nor did we watch tango dancers at the Café Tortoni. In fact most people would say we didn’t see anything in Buenos Aires. 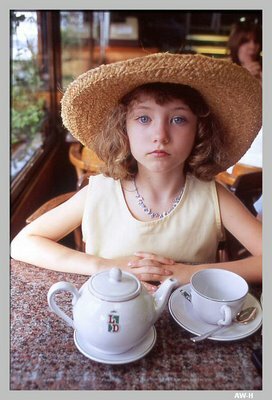 But more than anything I wanted Rebecca to meet my very English relatives and show her a bit of my personal Buenos Aires. While we could have gone everywhere in the subte this was no way of seeing all the parks and beautiful boulevards. We walked up Avenida Santa Fe and stopped at all the shoe stores. A 7 year-old is no different from a 15 year old teenager! On the famous pedestrian Calle Florida Rebecca was enchanted by the street tango dancers and especially by an old gray-haired man dancing a 30s milonga with a young man in slicked back hair. Rebecca’s favourite stops (and mine, too) were the venerable old pizzerias like Las Cuartetas, Burgio, Los Inmortales and El Cuartito. We stood up for a porción de muzzarella [Argentine spelling] which Rosemary and Rebecca washed down with agua mineral while I had a glass of ice-cold moscato, a sweet wine that traditionally Argentines drink with their pizza. Rebecca wanted to see penguins. We saw penguins and every other imaginable animal at the Zoológico including an ugly guanaco. At age 7, I had pointed and laughed at one. With a precise double hit the animal spat on my face (oh, the stench and the pain!). Rebecca laughed at my story and we kept our distance. Next door to the zoo, is the Jardín Botánico. 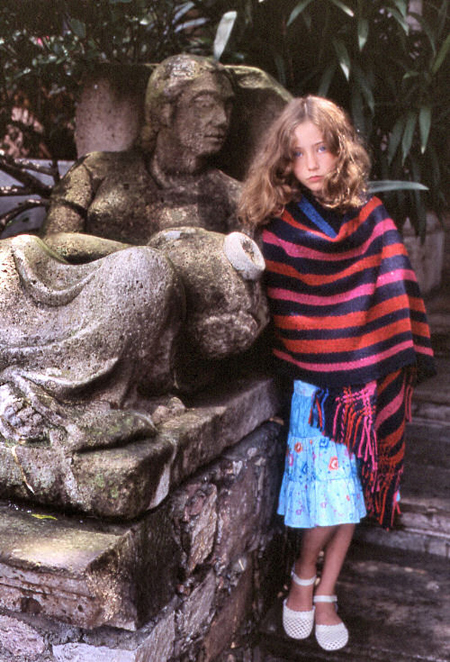 It was here that the magic realism of Latin America leant itself to my Rebecca’s sensibilities. Besides having exotic plants and a notable collection of 19th century statuary the garden is famous for its cats, hundreds of them. It seems that porteños abandon their unwanted grown up kittens here. Rebecca picked up just about every one. 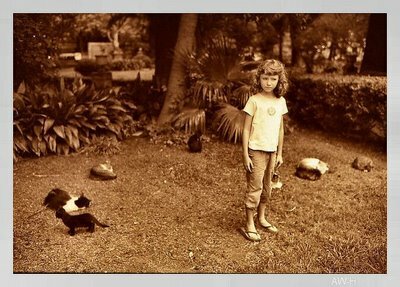 A mysterious cat lover must feed them as they all looked in top shape. Rebecca’s most surprising contribution to our trip was her desire to go to places that were free. I never had much love for Eva Perón. I hated the useless wooden toys she gave us for Los Tres Reyes (the three kings of the Epiphany). I wanted a Meccano. But Rebecca had seen the film Evita so we had to go twice to the presidential palace, la Casa Rosada, to see the balcony from which she made her speeches. I chose not to mention the existence of the Eva Perón Museum. Nearby was the Catedral Metropolitana with the elaborate tomb to Argentine independence hero General Don José de San Martín. Guarding the entrance to the mausoleum were two 6 ft Granaderos de San Martín in their shakos and early 19th century uniforms. Rebecca went nuts snapping with her digital camera. Rosemary had insisted I buy her one. She was right. Rebecca nagged uso to see Evita’s tomb at the Recoleta cemetery. She chose to sketch it in her book. We stayed for three hours walking through the baroque and gaudy monuments to dead Argentine heros. 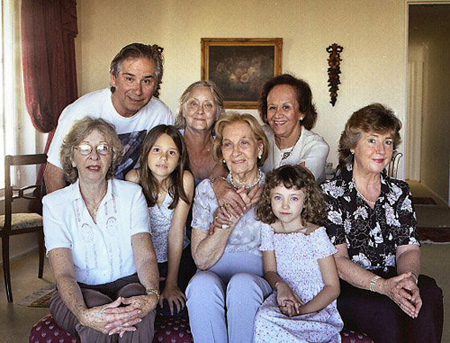 Rebecca agreed with me that my 84 year-old first cousin and godmother, Inesita O’Reilly ( centre in picture, right), sounded just like the queen of England when she poured our tea. Rebecca had to reluctantly switch to Spanish when she talked to my half-brother Enrique Waterhouse who refuses to speak English since he never met our English father. At the old fashioned San Telmo barrio Enrique took us to a cozy steak restaurant called La Brigada. Rebecca noticed that the waiter was cutting her steak with a fork and a spoon. For dessert, as part of Rebecca’s routine (and mine) we always had flan served with crema chantilly (whipped cream with sugar) and dulce de leche. Once we arrived at Punta del Este Rebecca liked to eat at our apartment in the evening and she made it a habit to write postcards to her parents and friends. Part of the fun was going to the little post office to buy the stamps. We enjoyed the contrast of going in the colectivo (bus) to the playa mansa (calm) beach of the River Plate side of the peninsula on one day while on another we would enjoy the brava on the rougher Atlantic Ocean. From the point, a few blocks from our apartment, we could stand exactly where the ocean and the river meet. Looking South Rebecca, asked me, “Are there penguins down there? Where is our next adventure going to be?” I cannot wait. And I haven’t. Since going to Argentina we have gone to Guanajuato, Mexico (2005) and Morelia, Michoacán, Mexico (2006). It 1953 my PANAGRA (Pan American Grace Airways) DC-6B from Buenos Aires landed in Managua, Nicaragua. From there I switched planes to Mexico City. It was a Pan Am Lockheed Constellation, in my opinion the most beautiful commercial airliner to fly. To this day I remember smelling Managua’s wonderful humid air when I walked on the tarmac to get to my plane. A beautiful and beautifully uniformed stewardess (the correct epithet then) offered me a stick of Wrigley’s Juicy Fruit in case my ears popped on take off. For me that was as good as travel ever got. Now I avoid having to listen to, “For your comfort and safety please remain seated until…..” If I were to get instant discounts for not making the airport security check beep I might consider flying again. I would never board a cruise liner. They don’t go anywhere. 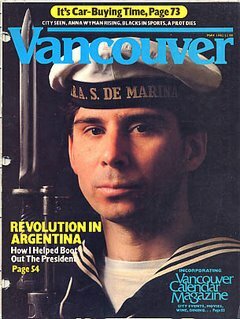 In 1967 the Río Aguapey, an Argentine merchant marine Victory ship built in 1945 in the Burrard Docks in Vancouver, took me from Buenos Aires to Houston. The four-week voyage stopped in every Brazilian port on the way. I was the only passenger and when I wasn’t sunning myself or eating at the officers’ table a French-sounding concoction called an entrecott (it was always a steak), I read Spengler’s Decline of the West. Nothing of Spengler remains except a quasi Germanic memory of being chained to a yardarm with Prussian blue smeared on me when we crossed the equator. I like to travel in the comfort of my bed with a large mug of Granville Island Tea Company's Earl Grey. With Alexandre Dumas I can go to 17th century Paris and not run into any American tourists. In Spanish I can read of similar situations in Madrid and the Spanish campaigns in Flanders in the delightful books of Arturo Pérez-Reverte. They feature the swashbuckling Capitán Diego Alatriste y Tenorio who would get along fine with D’Artagnan. Thanks to Celia Duthie, who introduced me to Arthur W. Upfield, and to my bibliophile friend Robert Blackwood who found most of the 28 out of print novels, I have followed Detective-Inspector Napoleon Bonaparte through most of Australia. A rainy Sunday afternoon is extra special when one doesn't feel guilty about doing anything except cooking for one's wife and two granddaughters. Yesterday was even better since I listened to baroque operas including Handel's Rinaldo , performed by the Academy of Ancient Music directed by Christopher Hogwood. The cast included Cecilia Bartoli and American countertenor David Daniels. Rebecca jumped from her seat (she was at my computer) when she suddenly heard loud thunder. It was raining but it didn't come from outside, even though it seemed it did. For Rinaldo, Handel wrote thunderclaps and storms into the score, as well as actual songbirds. The exremely realistic thunder that scared Rebecca, was provided by an 18th century thunder machine belonging to the Drottingham Court Theatre. 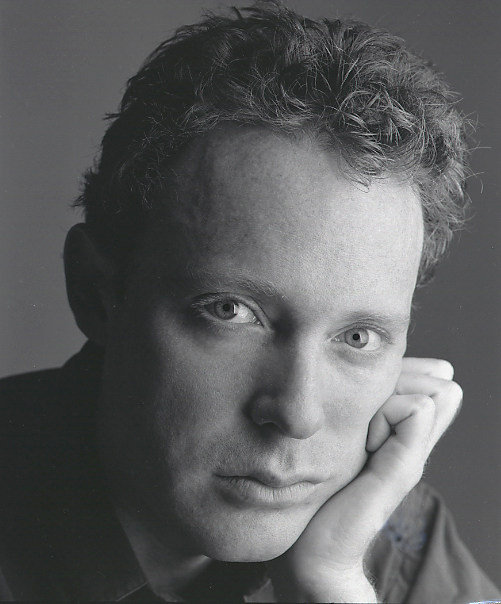 As good as David Daniels is, we in Canada should not feel any particular jealousy as we have Montreal countertenor Matthew White (above) who visits and performs in Vancouver almost every year. 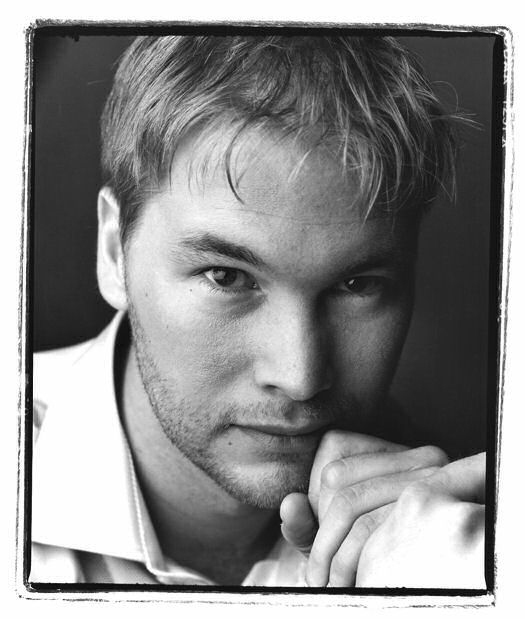 It was in 2003 that both Rebecca and I saw our first baroque opera, Claudio Monteverdi's The Coronation of Poppea. It featured Matthew White and two other terrific Canadian singers, all seen here. Colin Balzer (right) is a tenor (in a pinch he has filled in for sick baritones) with amazing projection and diction (particularly in German). Balzer has an extra talent, not usual to young tenors. Since I last took this picture he has been losing so much weight that he has been buying suits and tuxedos as quickly as he can afford them. Tyler Duncan (left, and also quite slim) is a young Canadian baritone who lives in Germany. While I will be probably dead by the time Duncan is old enough and big enough to sing Wagner, I can assure you his German is perfect. He is also a good actor. Fortune has shined at him as he will be marrying Erika Switzer in December. Switzer (besides being beautiful and having perfect skin) is a fine pianist who often accompanies Duncan. Rebecca, 9, has this fondness for stuffed animal toys. When she sees one she wants it. Her mother, Hilary has imposed a rule on her that forces to give away one of her old animals if she is to bring a new one to the house. In Morelia, last August Rebecca nagged us about a beaver (Chippy) she saw at Sanborn's. We pointed out the ludicrous fact that here you had a Canadian icon made in Indonesia that was being sold in Mexico. It didn't make any difference, she wanted it. 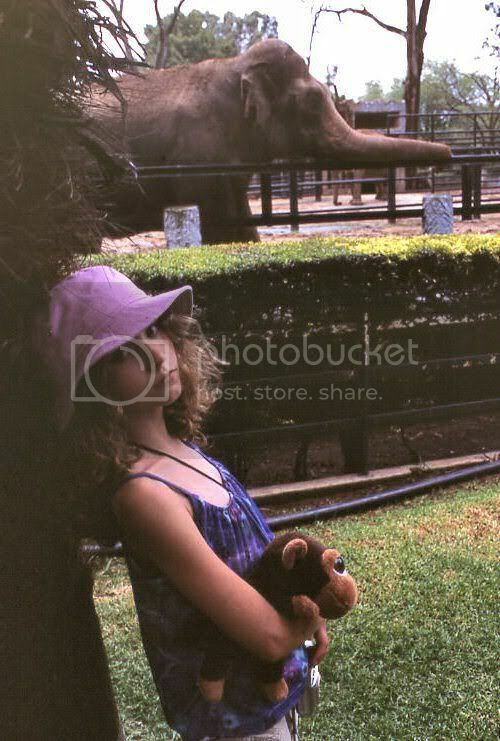 When we went to the Morelia zoo (at 200 acres it is the largest zoo in Mexico) Rebecca insisted on taking George. Several generations of plush toys later I anger Rebecca when I tell her that she had abandoned Chippy for whatever animal is her favourite at the moment. She insists, "Chippy is at home in my room and he is happy with Rose, Evelyn,......"
I explain to Rebecca about adult things. We talk about Hitler and evil or I teach her about how sadly Paul Desmond played his alto saxophone the day his mother died (I was there). Hilary, her mother and my wife Rosemary insist that Rebecca needs to be the little girl she is. Perhaps Hilary insists more than Rosemary. I catch myself when I almost begin to say to Rebecca, "Rebecca, you are 9, you don't need another stuffed animal." Yesterday we all went to VanDusen for a walk. This is a favourite place for Rebecca and Lauren. Lauren, in particular, likes to get lost in the maze. Rebecca and I touched rhododendron leaves to see which would have that soft indumentum that reminds us of the inside of a cat's ear or, even, of one of Rebecca's animals. But Rosemary and I knew that as soon as we finished the walk we were going to have a problem at the VanDusen store. Rebecca wanted one of the bears. I tried to explain to Rebecca that as soon as it is about mid November it is useless to ask for anything. Christmas is just around the corner. Rebecca almost began to cry as I taunted her with the spelling of no in Spanish, "¡ N-O, no! over and over until Rosemary told me to shut up. In the car I told Rebecca that if I were a millionaire I would never be able to say no to her. You find it hard to forgive those who, early in life, have come to enjoy the advantages that come with maturity. Aside from any other consideration, why don't you put into the balance the long spring enjoyed by a youth who matured late. Rebecca, don't grow up; not just yet.